Photo Adapter used to connect the Visionary Spotting Scopes to a Digital SLR camera. 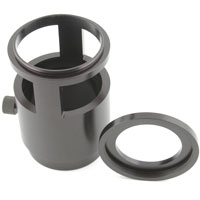 A T2 camera adapter is also required in order to fit to your type of camera, i.e. Canon, Nikon & Pentax etc.